We have some amazing competitions for all you fashionistas!! 2013 Birmingham Street Style Competition!! 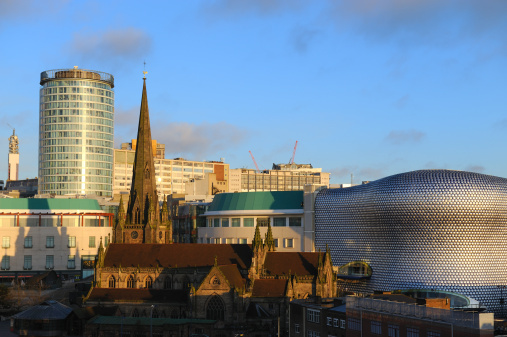 Birmingham Fashion Week will host the first Birmingham Street Style Competition as we seek the best and most creative fashionistas in the Midlands! 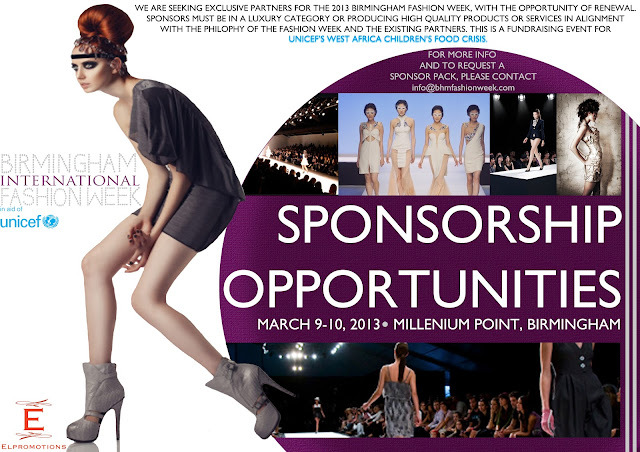 2013 International Fashion Student Competition!! Birmingham Fashion Week will host the first International Fashion Student Competition as we seek the best and most creative fashion students around the world! INTERESTED IN CONTRIBUTING TO THE BHMFW TEAM? With BHMFW 2013 on the horizon, we are searching for new additions to our team. Interested in contributing to BHMFW? LAST DAY TO SIGN UP!!! 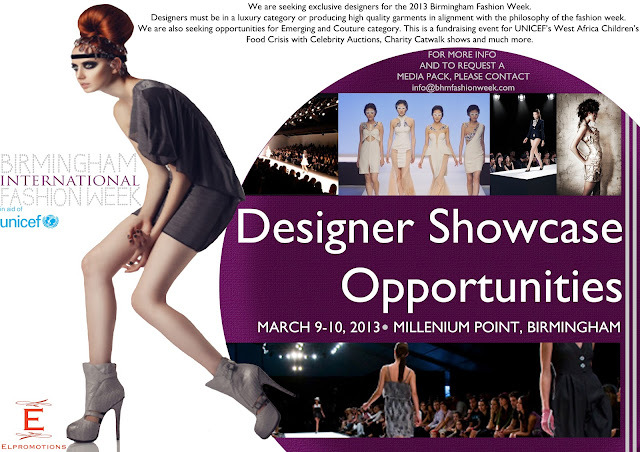 Designers, Exhibitors and Sponsors, Don’t miss out! Today is your last day to sign up to receive discounted packages! Put your business on the forefront of the ground breaking, 1st annual event. Hope to see you all in March!! STYLESHOPUSA ARE BEST WELL KNOWN FOR SELECTING THE NEXT HANDFUL OF UP AND COMING LUXURY DESIGNERS FROM AROUND THE WORLD. IN 2013 THEY WILL BE LOOKING FOR THE NEXT TOP 10! 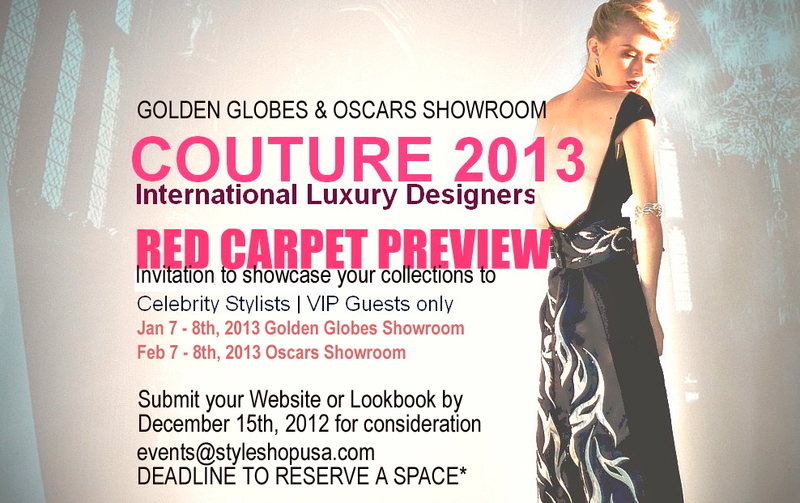 IF YOU WOULD LIKE THE OPPORTUNITY TO BE SELECTED TO SHOWCASE IN OUR RED CARPET STYLE SHOWROOMS FOR GOLDEN GLOBES, OSCARS AND CANNES THEN SEND IN YOUR LOOKBOOKS AND WEBSITES BY DEC 12th. So, we are INCREDIBLY excited to announce Mechu as our VIP after-party venue for Birmingham Fashion Week! The After-Party will be strictly VIP and Guestlist only, and the luxurious award winning bar & club with its stunning interior and exclusive reputation will make the perfect setting to end the fabulous fashion week we are bringing to Birmingham. Check our website for regular updates and other parties and events happening during BHMFW! There’s just 1 week to go to receive discounted rates, 10% of all packages! Sign up before 10th December to ensure you don’t miss out! !